There has been a distinct lack of posts for the duration of August and September although it is hoped that the narrative for October may be a little more prolific, beginning with two small acquisitions to the bookshelf. A slight anomaly in fact as boz does not as yet have book shelves in the building site, rather disorganised stacks that are there to be tripped upon and apt to topple when searching in haste for a particular tome. In recent weeks the electronic auction house has been visited and two purchases made to further add to said precipitous pile. 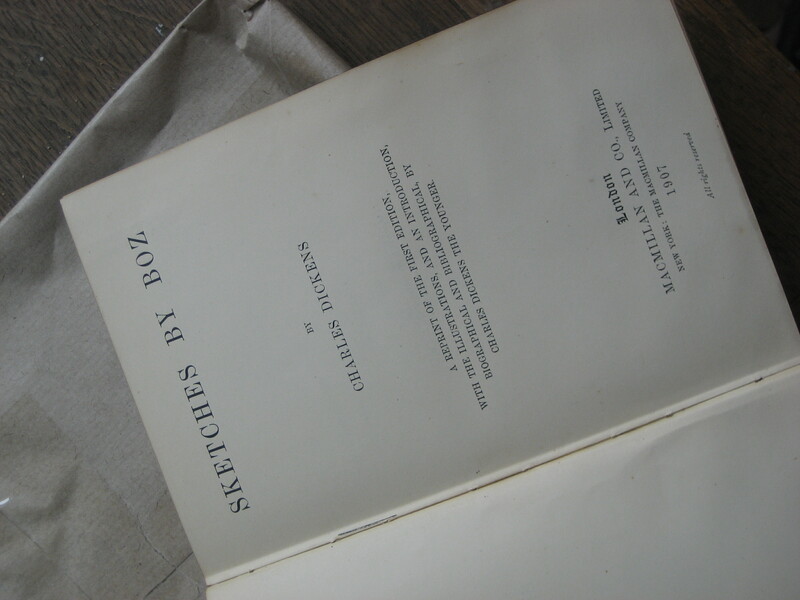 The first purchase was a faithful reproduction of a title to which it is perhaps surprising to have hitherto not been in possession of a copy. Despite being very familiar with most of the chapters contained therein these have been largely gleaned from perusing articles, contained in issues of the Pall Mall Gazette and Morning Chronicle and the Monthly Magazine for the greater part, in archive offices and local studies libraries. In existence are many pages of cheap photocopies dog eared and tea stained from many years of recourse. Unable to run to a proper first edition boz was very pleased to happen on the above, quite by chance whilst seeking a cast iron down pipe for the building site. Cheaply bound, with a strange flimsy bonded leather almost soft cover, a 1907 reprint of the original publication. It is likely to be little used as old habits die hard and the tattered photocopies of individual articles retain their place for now. Nonetheless it has proved a very satisfactory purchase and has now completed a collection of Dickens works, all of which are a hotchpotch of mismatched editions spanning more than a century and several publishing houses. 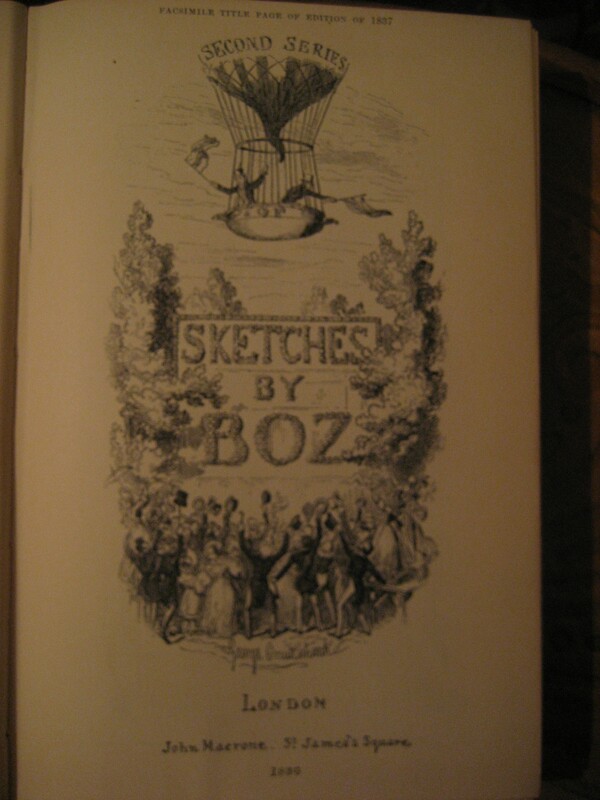 Part of the appeal of this volume was that it holds facsimile prints of the illustrations by George Cruikshank including a reproduction of the original drawing for the wrapper to the first complete edition published in one shilling monthly parts by Messrs. Chapman and Hall from November 1837 to January 1839. George Cruikshank 1792-1878 was London born and very familiar with its low life. Frequently likened to Hogarth, although perhaps lacking that particular artist’s finely wrought skill and tender detailed observations. In Cruikshank’s illustrations for Pierce Egan’s Life in London a monthly shilling journal published from 1821 there begun what might be considered one of the first attempts in “establishing forms of pictorial realisation that became such an important feature of Victorian publishing.” as described in the synopsis for Unkown London: Early Modernist Visions of the Metropolis, 1815-1845 (2000) John Marriott, Masaie Matsumura, Judith R. Walkowitz. An unrivalled anthology of literature and illustration on the Metropolis with an introductory chapter from John Marriott exploring the significance of the rare texts which laid the foundations for Charles Dickens, Henry Mayhew and their successors. Cruikshank was for the most part a caricaturist and the personal preference of this boz has always been for the more ethereal illustrations of Dickens’s next illustrator Hablot Knight Browne 1815-1882. As a child often walking along Ladbroke Grove one particular house bearing an English Heritage Blue Plaque inscribed with the name “Phiz” possesed an enchanting curiosity long before ever having heard of any such person as Charles Dickens. If we continue along Ladbroke Grove this will bring us close by to Kensington Gardens and thus to the second acquisition. The next small purchase was the result of trying to research some Arthur Rackham illustrations online and deciding that a printed version would be preferable. Although it would appear that the difficulty may rest with a requirement for spectacles rather than the computer screen. 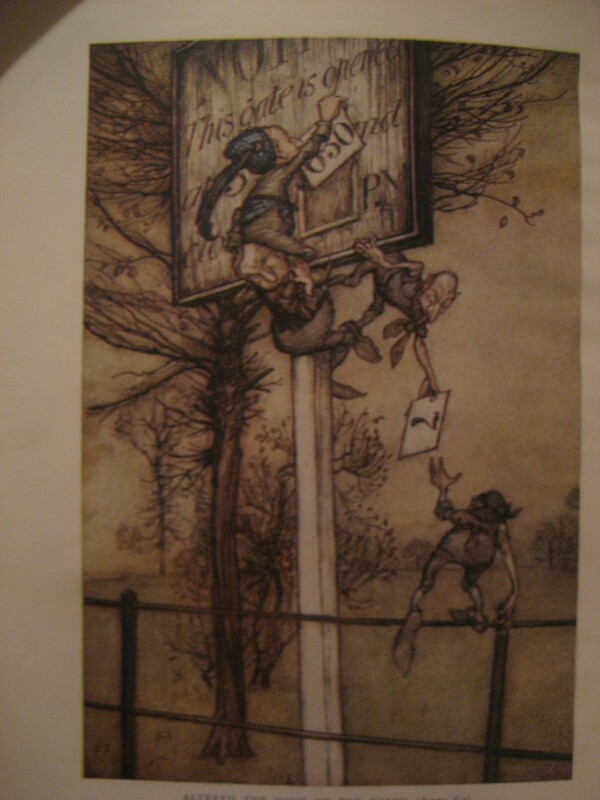 The illustrations sought were those created by Arthur Rackham for Peter Pan in Kensington Gardens (1906). J. M. Barrie, published in response to the success of the play Peter Pan The Boy Wouldnt Grow Up which debuted at the Duke of York’s Theatre St. Martin’s Lane 27 December 1904. The play was a different story to the first publiaction of the book. Barrie’s original version was part of a dark novel for adult readers The Little White Bird (1902) from which chapters thirteen to eighteen were republished under the title Peter Pan in Kensington Gardens (1906) containing fifty colour plate illustrations by Arthur Rackham. Arthur Rackham 1867-1939 was born in Lewisham and studied at the City of London School and would have been a pupil at the original site in Milk Street off Cheapside, where he became known for his art. In 1885 he obtained work as a clerk at the Westminster Fire Office and continued to study part time at the Lambeth School of Art. Making occasional sales as an illustrator for magazines this led to employment with a weekly magazine the Westminster Budget as an illustrator in 1892. 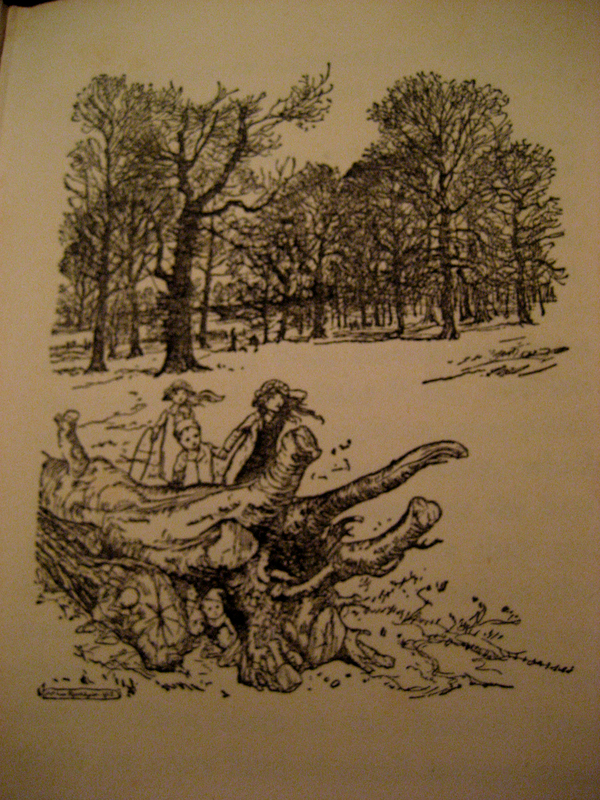 By the 1906 publication of Peter Pan in Kensington Gardens Arthur Rackham was already a successful and known book illustrator going on to illustrate Lewis Carroll’s Alice’s Adventures in Wonderland (1907). 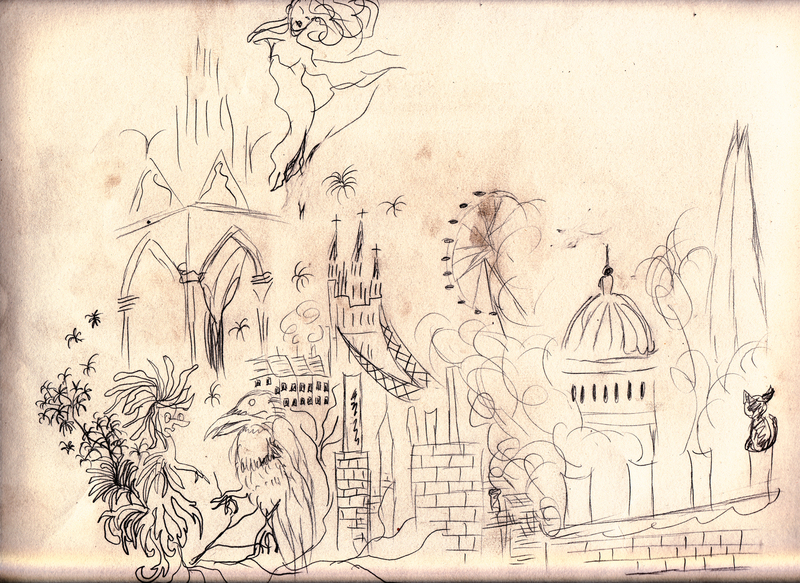 The rough sketch is the beginning of the screen to be completed soon and will be found: ‘Second to the right, and straight on till morning’. 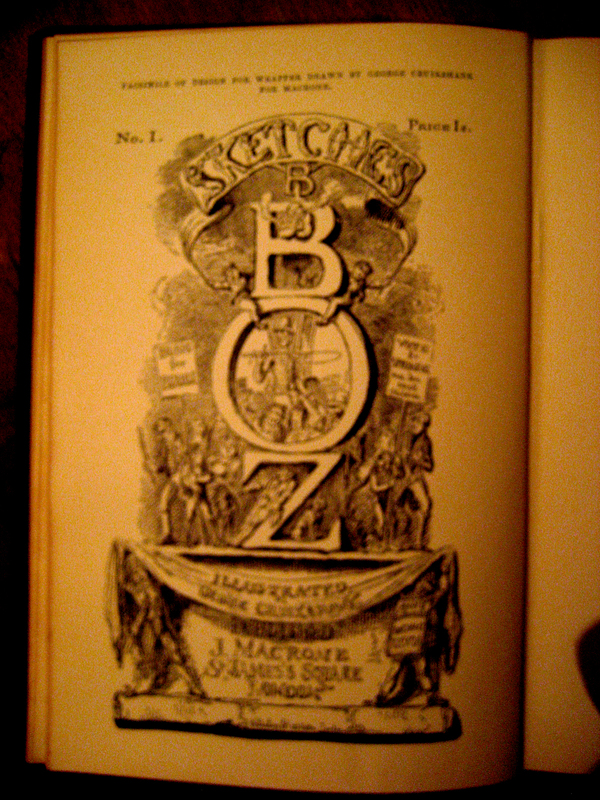 This entry was posted in Dickens' London, Illustrated London by sketchesbyboz. Bookmark the permalink.